I am happy to present their thoughts and trust that they will be interesting, humorous and thought-provoking. I hope our dear readers will share their thoughts in the comments area! 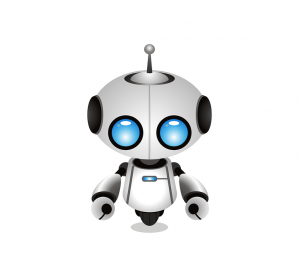 • AI is already seeing hype and uptake this year and will continue into next year. As decision-makers realize the hype is gathering momentum, the focus will shift to the risks associated with AI – which will delay actual implementation. • Will AI and their juridical spawn replicate or replace us? Need to watch Blade Runner again, but only Ridley Scott’s Director’s Cut version – the one with the not-so-ambiguous ending. • Service, filings, production, billings, and even reception will become increasingly automated. For some law firms. Not all. • Perfectly suited…perhaps better than many attorneys. • AI software development will continue to increase in 2019 and we’ll see some really creative tools come to light that will help reduce the mundane aspects of practicing law, allowing law firms to streamline their workflows so that lawyers can focus on more high level, complex analytical issues. So keep an eye on AI advancements in the legal tech space – there’s sure to be a lot of interesting developments in 2019! • AI will be applied for success in cases where the data sets (contracts, discovery, case law) are better suited to automated processes either due to the prohibitive costs of traditional search, the need for speed of search results or where substantive increases in accuracy favour such processes. The challenge for small to medium law firms will be to lever this technology as the application of AI currently favour the resources of a larger law firm. • Startup – both “public” and “in-house incubations” – will begin to spring up like mushrooms in the rainy season, as AI enters the early-market stage of development. Point-applications will continue to chip away at repetitive data-intensive applications within law firms, nudging the efficiency-curve upward. • Growing and rightly so…with AI great for delivery and cost to consumer. • There are many factors that can be resisted, but battling against economics is one where the battle is ultimately futile. The demands for more affordable access to justice will continue to get louder and the movements calling for change will ultimately be successful. This will translate into the loss of exclusivity for lawyers as consumers demand more affordable justice in such areas as family law, residential tenancies, low value claims and others. Non-lawyer alternative service providers will be licensed to provide legal services in these areas, resulting in the “Wall of Jericho” that protects lawyers to come a’tumbling down. • Advanced digital legal assistant technologies will begin to displace the need for some office staff at some firms, in some areas of law, but again, not all. Some areas of practice are necessarily labour intensive, and benefit from higher than average staff ratios. At Supreme Advocacy our clients benefit significantly from having our lawyers as efficient, fast, and productive as possible – our staff to lawyer ratio is 2:1. i.e. 2 staff for 1 lawyer, not the other way around. • Not here in the good old USA. • ABS – Alternative Business Structures – will be approved shortly after governments approve new non-lawyer legal service providers (as noted above) to provide lower-cost A2J(Access to Justice) services in addition to lawyers. • Ever since Law Schools abolished obligatory courses (i.e. first year plus Civil Pro is all you need to take in Ontario) ‘law school education’ is a potential oxymoron. You can graduate while knowing nothing of Tax, Family, Evidence, Trusts, Real Estate, Employment Law, Creditors’ Remedies, Corporate, Insurance, Municipal Law, Statutory Interpretation. Would you go to a physician that skipped cardiology, pediatrics, or infectious diseases? Sure you can say I’m stuck in medieval times – but so are law students that don’t take what they should. • Law schools should change their focus from simply providing a legal education to creating lawyers. Dentists are good dentists on graduation, good-to-go, because they have a structured not-much-choice dental school. If a dental student goes to dental school and says I don’t wanna learn how to pull teeth, how do you think that’s gonna go? • Lakehead has it right. They so prepare their students for the practice of law they are (in Ontario) exempted from articling. That will be the future. • Don’t think a move to two years will happen anytime soon but more clinical education. • Will legal-tech finally become a serious course of study? Ethics issues are pushing us in this direction. • Law Firms will be a major, but not the exclusive, factor finally calling for law schools to produce graduates that are trained to practice law rather than research it. • 2019 will see a wider array of CPD courses and programs with increasing emphasis on sensitivity and unconscious biases in the workplace. Ethics-based discourse will take shape around equality, diversity and inclusion. Ultimately, heightened awareness will culminate in law firms updating or introducing internal workplace policies on topics including harassment, diversity and cannabis. • Eventually lawyers will lose the right to self-regulation as governments respond to the demand for greater access to justice. With the loss of self-regulation will come the demand by governments regulating lawyers and the public that lawyers periodically demonstrate competence in certain areas prior to being allowed to practice. This will necessitate the need for CLE courses to incorporate exams to indicate actual competence in the area of study. • Bitcoin became a household name over the last year as front-page news reports tracked its meteoric rise and analysts speculated whether the “Bitcoin bubble” was about to burst. The recent roller-coaster ride in bitcoin value, peaking at an all-time high of just under $20,000 per bitcoin, demonstrates that digital currencies have real-world value. Unsurprisingly, the financial and legal sectors are paying close attention because cryptocurrencies now are replacing some bank functions. • The advent of Bitcoin and the blockchain technology that powers it heralds a new period of disruption — and opportunity — for the legal profession. Lawyers will need to become familiar with these technologies work in order to remain competitive as the practice of law continues to evolve. We have seen great strides in the use of smart contracts based on blockchain this year and that trend will certainly continue. • Blockchain is already in progress in BC – with corporate registries. It will continue – not just with contracts – but with evidence management. • Blockchain, virtual currencies, smart contracts and AI will be four major disruptive technologies forcing change on the legal profession. Education, understanding, adaptation and assimilation will be essential to be able to continue to practice in areas touched by these technologies. • As noted above, as a consequence of lawyers opposing the increased calls for alternative and affordable access to justice solutions, the legal profession will be facing the loss of self-regulation in the short-term. The long-term consequences of this will be governments approving new non-lawyer service providers and a consequential new legal services regulation model. Once self-regulation is lost in one jurisdiction, the dominos will start falling in other jurisdictions and this will result in a wave of change in how lawyers operate. • AI will lend a BIG hand here… all the big folks will be announcing AI-Assisted PM solutions..
• 2019 will see small and small-to-medium law firms spending big on cybersecurity measures. As the trend toward work from home continues in 2019, the risk of being compromised will increase. Management will respond by implementing more cybersecurity layers for employees accessing firm servers and databases at distance. The cost of enhanced defense systems will challenge the smaller firm’s bottom line, but will provide much needed peace of mind. • Over the last decade, cloud computing has become increasingly important in day-to-day activities. The cost of this transaction has been to trade significant amounts of personal privacy. In 2019, mainly in part through the reporting of data breaches, personal information use and data security will continue to be a hot topic. In reality, the bargain will continue to be too seductive for most users. People continue to trade their privacy for the convenience of free and low cost and ubiquitous access to the Internet and services. Lawyers who have wisely used these products to increase efficiency will have new dedicated legal products to choose from. From highly automated services delivery platforms to personal client portals (good riddance email) and compelling A.I. tools, 2019 is looking like the year that technology is finally becoming intuitive and relevant for lawyers who want to practice their craft in a responsible technology-enabled way. I predict 2019 will mark the year where this finally begins. In Canada, there will be increased demand for a ‘one-stop’ solution that combines integrated full legal and general accounting with practice management that is affordable, scalable and in the Cloud. • My prediction is now that hosted email services like Microsoft’s Office 365 are available in Canada, and are reliable, secure and inexpensive, I don’t expect many law firms of any size to continue to maintain on-premise email servers. This will be a radical switch for firms who are more comfortable keeping their email servers in their office, but they will appreciate it the first time that power or internet issues take their office off-line, and they find that they’re still able to send and receive email on their smartphones. It will also be a radical switch for technology professionals who have made a living out of maintaining on-premise email servers, but everyone will need to adapt to the new reality of cloud computing, which is finally becoming mainstream. • The next era of communication is upon us. Legal teams are used to fast-paced, always-on communications, no matter in the office, at home or on a client site. It’s the culture of the practice of law. Furthermore, legal professionals, for the most part, live in their email because of the need for access to information all the time. Finding the next generation of communication platforms that meet these demands, while protecting security and privacy, is a significant challenge. • In 2019, legal collaboration tools will take root as a new communication channel in law firms and corporate legal departments. These platforms are built around team messaging and represent a convergence of forces to get legal teams interacting in a fluid manner with chat, supplemented with videoconferencing and document and screen sharing. • Collaboration platforms specific to the legal industry make this technology no longer a nice-to-have, but rather an essential tool which enables law firms and corporate legal departments to get more done in less time, contributing to the bottom line while increasing employee and client satisfaction. • In 2019, legal cloud computing software will continue to be adopted at a record pace, acquisitions in the legal tech space will occur at at a similar rate, and artificial intelligence software will show incredible promise as it comes of age. • For starters, cloud computing software use by law firms will continue to increase. For most firms, the focus has already shifted from whether they should use it to when and how they should use it. This is occurring, in part, because some well known legacy software programs that are premise-based are being phased out and moved into the cloud. The end result is that cloud-based options abound for, among other things, billing and law practice management software, and thus the challenge for many law firms in 2019 will be how to choose the right software tools to fit their unique needs. • Another trend to keep on eye on will be legal tech acquisitions and mergers. In 2018 there were a record-breaking number of acquisitions and mergers in the legal technology space and that trend will continue into the coming year. Because competition is fierce, new startup companies often struggle to stay afloat. Funding has been scarce compared to prior years, leading to acquisitions as a means to an end for some companies. Also of note – more established legal cloud software companies, such as those in the law practice management space, will continue to grow their market share since they’ve already established a foothold and as a result have gained significant momentum. But don’t forget about the well known larger technology companies such as LexisNexis, Thomson Reuters, and Bloomberg Law either. All three show great promise, in part due to the large amounts of data owned and the ways that they’re putting that data to use. Between some interesting and strategic acquisitions in recent years and lots of new product development, you’re going to see increased product roll-outs from these companies that have lots of potential, especially in their use of AI tools to harness and make sense of all that data. • Legal-Tech will become a more and more important differentiator among firms. Both what they use – and what THEY CREATE. 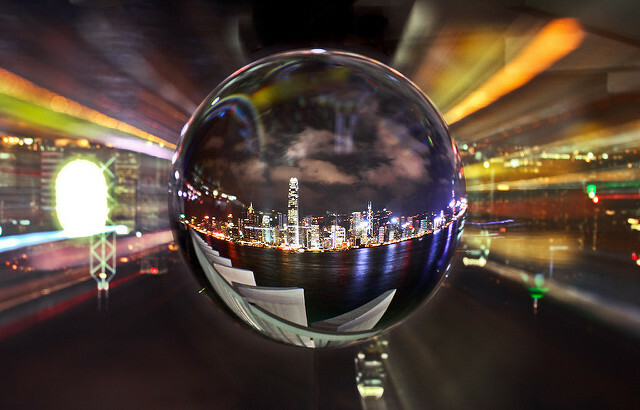 • To remain competitive, flexibility and agility are becoming increasingly important for firms. Those firms who have not adopted cloud services will do so as to ensure they remain nimble and competitive. • We are literally swimming in data and hence leveraging Business Intelligence tools to access and depict key information visually, will lead to better decision making within firms. • The adoption of software that allows for collaboration between staff, clients, co-council etc. is going to increase and will enhance productivity and efficiency. Lawyers and staff are able to use the collaboration software to communicate with each other at the office, at a client site, working from home or in different geographic regions. • Technology just keeps getting better. Remember the days where learning software was a big thing. Now, software must be intuitive or face immediate failure. The legal community has been responsibly slow to adopt new technologies. Responsibility to fundamental principles of procedural fairness, confidentiality, and truth-seeking underpin the tensions that the ever-increasing technology landscape may encroach. 2019 may mark the year where technology begins to finally align with legal principles and technology as they become further integrated. 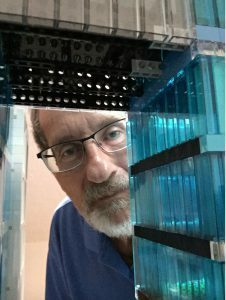 • The issue seems to be that in moving from paper files (where doctors could write as much or as little as they wished), to computer-driven systems that span all functions across a hospital has meant that doctors must complete many if not most of the fields in the systems used to store patient records. This is seen as a time drag on most doctors – but the benefits of so doing are shared by all those working within the health care provider – from nurses to physios to pharmacists. • The same issue exists in law firms; lawyers resent the need to record all or most of the information called for in a robust firm-wide practice management system; they don’t fully realize or appreciate the benefits to the firm as a whole in so doing. • The doctor’s solution: moving to scribes who sit with the doctor and fill in the computerized forms with instructions from the doctor while the doctor treats the patient. I believe that lawyers could benefit from the same solution: go back to secretaries whose function is to enter all information in the practice management system (including detailed notes of all meetings, phone calls, billable time, tasks remaining and such) in order that the firm overall can realize the full benefit of the practice management system. • Private philanthropy through contributions from private foundations have played a key role in expanding A2J and accessing such financial support should be continued and encouraged. • Our own state of Virginia is studying and adopting some of these recommendations and we expect many other states to do the same. • ODR will continue to grow – in volume and jurisdiction. The judiciary will get more engaged to understand how this impacts the courts and will also focus on ensuring ODR maintains a sufficient open court system. • BC’s Civil Resolution Tribunal, the most successful online dispute resolution system in the world, will export its expertise to two other Canadian provinces intrigued by the prospect of re-routing a significant number of smaller and more straightforward disputes out of the courts while keeping them within the overall justice system. • It’s coming: but on-line “assisted” by real attorneys using tools like AI to reduce the issues and facts to a short-list a human will then sift through.. less leg-work – more cases per attorney at lower cost. • The kinks in BC’s Civil Resolution Tribunal are being worked out. As it matures, other jurisdictions will jump on the Online Dispute Resolution bandwagon. Already the UK is moving forward on Her Majesty’s Online Court as are other jurisdictions. No one expected the transition from bricks and mortar courts to virtual courts to be seamless; but the promise of lower costs, faster resolutions and greater access to justice offers too much promise to ignore. Progress will continue on this front. • The high cost of court houses will continue to prioritize and put pressure on the courts to make use of technology in an effort to defer or eliminate some of the needs for major courthouse upgrades and replacements. • Each new technology will continue to raise ethical issues for lawyers. Legal regulators, in order to do their job properly, must acquire the technical sophistication to understand the legal and ethical implications of emerging technologies. This will present a challenge for regulators, CLE providers and law schools in order to stay ahead of the curve and educate and regulate the lawyers of the future. • With the publication of ABA Formal Ethics Opinion 483, the ethical obligations of lawyers to prevent, disclose, and remedy data breaches have become clearly defined. • These data security ethical mandates and the increasingly severe consequences of data breach will substantially change the trajectory of legal technology. • In a very real sense, the highly-connected online world is now filled with unascertainable dangers. Paradoxically, being so easily and broadly connected may force us to re-adopt a less connected model of practicing law in self-defense, as leading cybersecurity experts warn that threats are evolving faster than reliably effective defenses. • Increasingly, smaller law firms are prime targets for extensive “spearphishing” financial fraud and organized crime in the form of ransonware extortion, causing major business disruption and mounting losses for even the smallest law office. When your files become unusable due to extortionate encryption, it’s hard, if not impossible, to effectively represent your client and avoid blowing deadlines. Perhaps a quarter of our local law offices have been immobilized by ransomware within the past year or so, and those are only the ones of which I am aware. • Consequently, lawyers who fail to prioritize data security, protection of client confidences, and continued operations increasingly do so at their own peril. In the short term, cloud computing will become less attractive, at least from an ethical standpoint, as multi-hundred-million account breaches become the norm, affecting even experienced online companies like Yahoo, Equifax, and Adobe. The advent of sophisticated data security threats like spearphishing and ransomware add another layer to older security threats, such as the identity threat, “social engineering, and interception of unsecured Wi-Fi and cable networks. Those older threats remain very real in many law firms. Due diligence will become more demanding than simply accepting marketing puffery about “assured online security” at face value. Data security, avoiding operational disruption, and protecting client confidences will trump desktop convenience and techno-cool when in apparent conflict. One unexpected short-term result of tightened security is that fax transmissions of highly confidential documents are becoming more common. That’s already occurring with medical records being faxed rather than Emailed. Easier, more wide-spread encryption of transmitted records will remedy this. Our highly connected world may become less connected in self-defense, as certain critical law office functions like accounting and billing are moved to internal systems that have no connection to the Internet. Standalone applications that are not reliant upon cloud computing/storage will again become attractive due to their ascertainable level of security and greater end-user control. Encryption will become the norm for confidential client data, particularly with the advent of Windows 10’s easy Bitlocker implementation. Stricter Internet usage policies and user training to avoid phishing and inadvertent introduction of malware into an office network will become critical parts of law office data security. Current data suggest that over 90% of serious data breaches are due to human error and that smaller law offices have become prime targets for highly specific “spearphishing” financial fraud. Layered anti-malware defenses at each office will become the norm. Relying upon some free anti-virus software of uncertain provenance will not be ethically nor operationally sufficient. 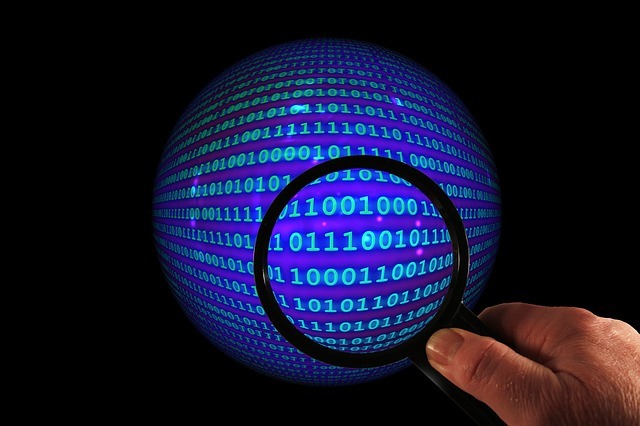 Cyber insurance and third party cybersecurity testing will become the norm. • Since 2016, many solo/small/mid-sized firms began adhering to the Center for Internet Security’s (CIS) Controls. In March 2018, CIS released CIS Controls Version 7, the newest (and free) iteration of its original 20 important cybersecurity recommendations. The CIS Controls are a prioritized set of actions any organization can take to improve their cybersecurity posture. • Basic (CIS Controls 1–6): These are key controls which should be implemented in every organization for essential cyber defense readiness. • Foundational (CIS Controls 7–16): The next step up from basic – these technical best practices provide clear security benefits and are a smart move for any organization to implement. • Organizational (CIS Controls 17–20): These controls are different in character from 1–16; while they have many technical elements, CIS Controls 17–20 are more focused on people and processes involved in cybersecurity. • All this technology growth will result in mounting focus and pressure on cyber security. Any major breach will trigger a significant pushback and delay in the courts adopting more technology. • Great idea, not a reality, question is how to spread the risk. • Data Breaches at Canadian Law Firms: With mandatory breach reporting now in effect, we will start to see Canadian law firms confess to data breaches. While they may not match the scale of the Panama Papers, all law firms have a tendency to aggregate data. It is hard to imagine a legal data breach that wouldn’t meet the “real risk of significant harm” standard. Privacy Commissioners will be notified, and we will slowly start to see law firms using information security competency as a competitive advantage. Cybersecurity is a precondition to confidentiality. This should accelerate the trend away from on-premises computing infrastructure and will lead insurers to take a closer look at legal practice management systems. • Ransomware and other malicious software will continue to evolve and become even harder to detect. Business class anti-virus software, firewalls, spam filtering and a well planned and executed backup, disaster recovery and business continuity plan is essential to ensure your firm is protected from these cyber-attacks. • The marketplace has put recording devices that stream live events into nearly every aspect of life (mobile phones, citywide high-speed wifi, 5G mobile) The world has never been this connected and it will continue to strain expectations about what is being done and what should be done for clients. Sometimes there is a good reason to slow down. • Low value services will be provided by AI. • Adoption is the biggest risk for lawyers. Always has been – always will be. But as technology innovation accelerates and the rest of the work drives the efficiency curve up – and the cost curve down – with technology, those slow-to-adopt lawyers face an ever-growing risk of extinction. • The challenge for lawyers, legal regulators, law schools, CLE providers and others in the legal and judicial sector is to stay current on new technologies. AI, the Blockchain, cybersecurity, electronic fraud and privacy are just a few of the powerful forces working on the legal profession. Failing to stay current on the implications of technology today is dangerous; in the future it may be dire or even negligent. • Essential for business functions. • Distributed Offices: Law firms will be increasingly unable to retain staff in the urban core of the Vancouver and Toronto markets. This will be compounded by the reality of commercial real estate costs and the ubiquity of cloud computing. Firms will respond by decentralizing their practices into multiple regional offices. This will better serve their clients, reduce staff commutes, and force firms to rethink the “downtown” firm business model. It will also push firms away from on-premises computing and allow for the wholesale reconsideration of practice management systems. • Tech assisted. Informed by big-data. Creativity and ingenuity become an essential part of strategic planning in 2019. • Technology is moving from what began as a support role to a central role in how to practice law today. The implications of this are that technologies must be central in planning how a law firm will approach practice today. • Critical to understand high value service and what good service is. • Due to increased attention/awareness/aggressive protection of privacy, lawyers will be under increased scrutiny regarding their duty not to inadvertently disclose. • The need for lawyers is assured as lawyers are central to the operation of the Rule of Law in our democracies. What is not assured is the Main Street lawyer, or the Big Firm lawyer as we envision them today. New Technologies, new non-lawyer legal service providers, increased competition, increased A2J needs and many other threats will be working to transform the legal profession. One cannot afford to remain complacent. • Here is a project I am working on with the New York State Bar Association’s Senior Lawyer Section. • Meeting of the Minds is a series of regional Gatherings for lawyers created by the Senior Lawyer Section of the New York State Bar Association, in partnership with county bar associations throughout the state. The goal for these meetings is to connect senior lawyers looking to transition away from full-time law practice with younger attorneys and law students seeking personal growth in the profession. These Gatherings will bring lawyers together with a diverse group of speakers, coaches, medical professionals, and experienced attorneys to share their successes in handling life transitions. • The Gatherings are designed to bring together lawyers who are looking for a safe place to participate in community to gain greater knowledge and support for transition planning. Access to a private intranet along with monthly webinars will be added as the community grows. Rather than looking for one, grand design for the perfect transition into a law practice or retirement away from a law practice, these Gatherings will use 10-minute, video sessions to provide just-in-time learning for each participant. These “quick hits” of information have been designed so they can be accessed through mobile devices such as smartphones and tablets. • We believe this collaborative process can help better utilize the skills of lawyers age 55 and over by expanding the dialogue about how individuals can build their way forward from wherever you currently are, regardless of the life design problem you are currently facing. • You may have heard this all from me before, but now, the young lawyers I worked with during my time at NYSBA are the senior lawyers I am once again enjoying working with. Growing old “in community” can be powerful. • One topic that is not on your list, and I have been thinking of for some time, relates to AI outside the law firm environment and how it might impact our substantive legal rights and procedural rights and, possibly, redefine the role of lawyers in society in ways more transformative than AI inside a law firm ever can. I don’t have time to hash out the thesis, but consider the extreme connectivity of all aspects of life, constantly collecting information about all people and establishing data on things as varied as who was at certain location at a certain time, where people travelled in a day and by what means of transportation, what they bought, searched for, said, perhaps thought, etc. and the warehousing of that data, largely in trust of corporations, but also of state agencies, and the sharing of that information, or the harvesting of it through technology, and lastly, of the potential tyranny of algorithmic AI to profile each and every one of us and “risk rate” us according to a host of classifications (e.g. likely to buy X, likely to commit crime Y, likely to support a politician with Z views, likely to contract a certain illness, likelihood to be a greater or lesser insurance risk, a model employee, citizen, etc.). In such a world are our rights merely symbolic? Can how we are codified by AI create barriers to getting jobs, accessing essential services, being discriminated against, etc.? What role do lawyers have if those trend-lines start to form? Think here of how little, collectively, the profession has done regarding mass surveillance. I don’t think this will all come to a head in 2019, but the capacities are being created for some (perhaps many) of these issues to impact the world we live in and therefore the clients we will one day serve. • Stay well and active. • For me personally – 2019 looks like I will be spending a significant amount of time on the videoconferencing strategy for the courts – which encompasses many of the points above. • Have fun with this! • How soon to put the snow tires on my bike in Ottawa. How long to leave them on. • More Scottish-Canadian lawyers will run the Boston Marathon. In kilts. • Technology and its impact on the business of law. • I will continue to be fascinated in watching the wheels of change working not just on the legal and judicial sector but in society generally. I believe that this is a most exciting time; we are witnessing the birth of a new era akin to the Industrial Revolution with all the consequential implications. Technology is the force of change; the rate of change is phenomenal and will only continue to accelerate, provided that the economy doesn’t collapse. I truly believe we haven’t seen anything yet and we are highlighting some of the changes here. Nothing makes the darkness go like the light. 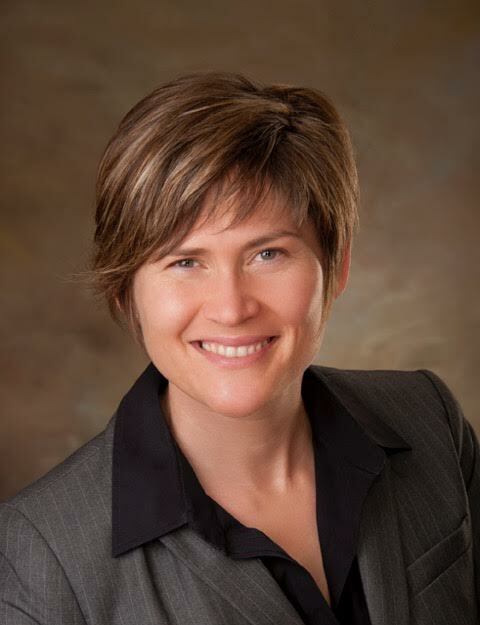 Nicole Black is a Rochester, New York attorney, author, journalist, and the Legal Technology Evangelist at MyCase, legal practice management software for small law firms. 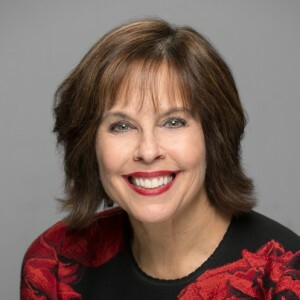 She is the nationally-recognized author of “Cloud Computing for Lawyers” (2012) and co-authors “Social Media for Lawyers: The Next Frontier” (2010), both published by the American Bar Association. She also co-authors “Criminal Law in New York,” a Thomson Reuters treatise. She writes regular columns for Above the Law, ABA Journal, and The Daily Record, has authored hundreds of articles for other publications, and regularly speaks at conferences regarding the intersection of law and emerging technologies. She is an ABA Legal Rebel, and is listed on the Fastcase 50 and ABA LTRC Women in Legal Tech. She can be contacted at niki.black@mycase.com. Andrew Clark is an independent consultant specializing in management consulting and project management in the Justice Sector. 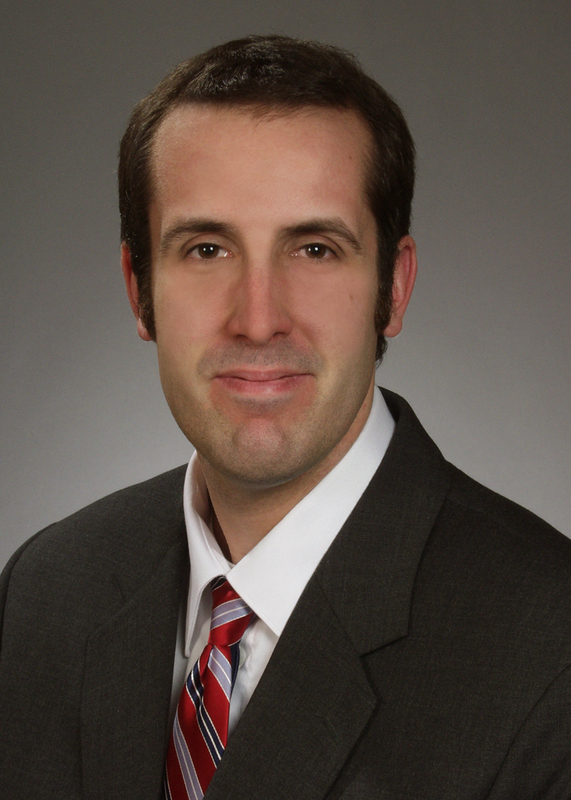 Andrew has spent the last fourteen years providing management consulting for a number of clients worldwide. 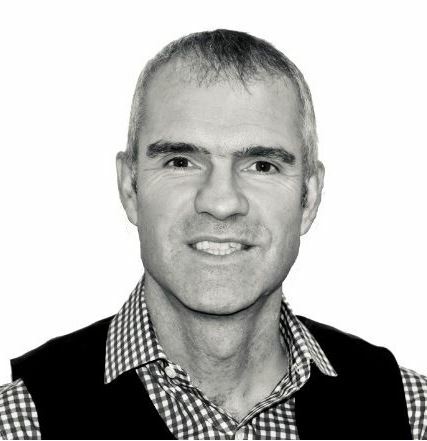 Andrew started his career over 20 years ago in software engineering as a specialist in user interface design. 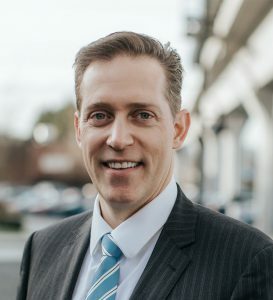 Andrew worked as an IT Director for the BC Ministry of Attorney General where he was the project director for the JUSTIN project, BC’s criminal case management system. After managing a software company for 8 years, Andrew started his own consulting company. Throughout his career, Andrew has focused on Project Management and Team Building within an organization. He is a UVIC graduate with a B.Sc. and an MBA. 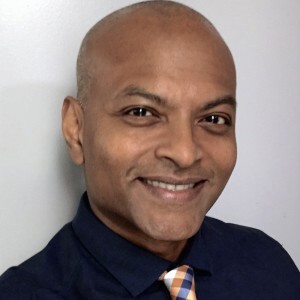 Andrew is also a Project Management Professional certified by the Project Management Institute and was an associate faculty at Royal Roads University where he taught project management education within the MBA program for 6 years. For the past fourteen years, most of Andrew’s work has been in the Courts, highlighted by his work in the British Columbia as well as work in the Yukon, Vietnam, Rwanda and Guatemala. Andrew was the Project Manager for the British Columbia eCourt program, a portfolio of projects co-sponsored by the Judiciary and Court Services Branch. He also worked on the JUDGE Project – a CIDA funded project working with the courts in Vietnam – where he was responsible in overseeing the design, procurement and implementation of Digital Audio Recording in 3 courtrooms. 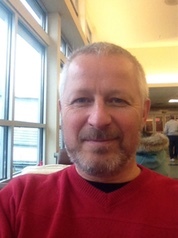 Andrew is a volunteer technology board member for BC Justice Education Society and has been a member of several national committees and working groups. 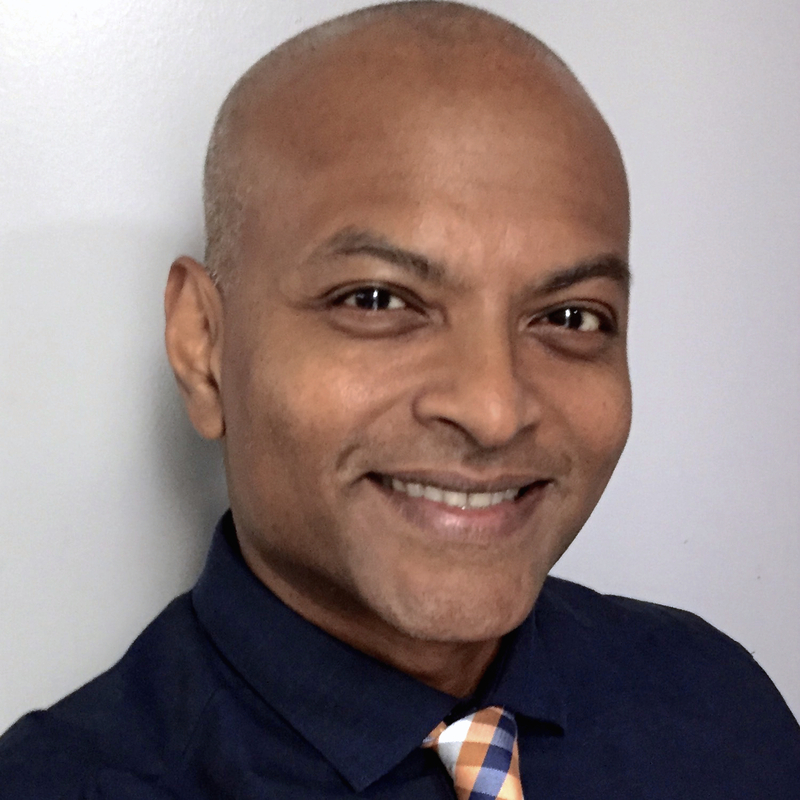 He has spoken at several conferences including the Court Technology Conference (CTC), the Canadian Forum on Court Technology and the Center for Legal and Court Technology Affiliates Conference. André Coetzee, MBA, PMP, BA, H.Dip.Ed. Andre Coetzee is a Director and a founding partner of i-worx, a Premium Hosting Service Provider for law firms. Andre is constantly researching and exploring new and better Hosted IT services with the goal of continuously providing legal firms a premier IT experience. As a result i-worx has developed a reputation for delivering innovative Hosted IT services to law firms, including Hosted Desktops, Hosted Email and secure file sharing with exceptional personalized service. For more information or to learn more about how hosted services could benefit your Firm, call 604.639.6300 or email andre@i-worx.ca. Andrea Cannavina is the creator of the D-A-F-T™ organizational process, CEO of LegalTypist, Inc. and director of the Virtual Bar Association. She has more than 15 years of legal secretarial and administrative experience coupled with 17 years as a Virtual Assistant. 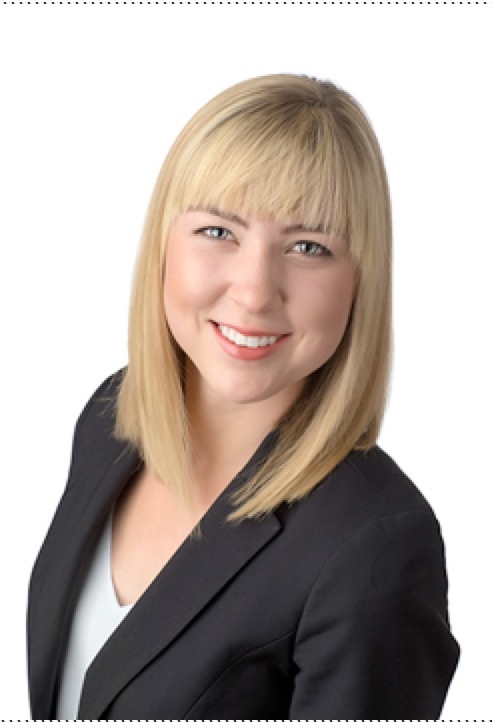 These years of experience helped her to carefully consider, thoughtfully develop, and thoroughly test the application of specific technology in law firms — helping firms improve efficiency and reduce costs. I am a frequent speaker at bar association meetings on topics related to transition/succession planning, leadership skills training, and professional development. 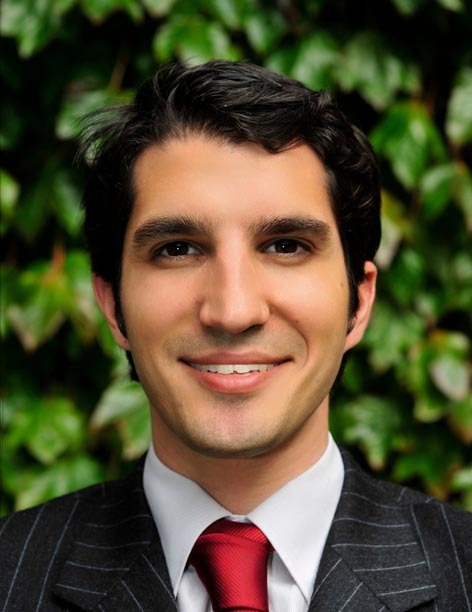 Jordan Furlong is a consultant, author, and legal market analyst who forecasts the impact of changing market conditions on lawyers and law firms. Jordan is the author of Law Is A Buyer’s Market: Building a Client-First Law Firm and writes regularly about the changing legal market at his website, law21.ca. the Senior Digital Advisor at the legal marketing agency, Skunkworks Creative Group. Jeremy can be reached at jeremy@gosmall.ca or 604.229.2620 ext 2. 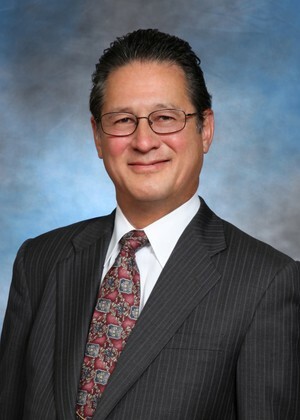 Joe Kashi is a trial lawyer in Soldotna, Alaska. 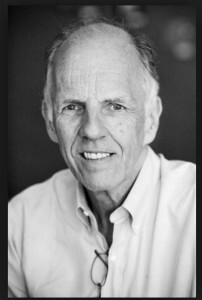 He received his BS and MS degrees from MIT in 1973 and his JD from Georgetown University in 1976. Since 1990, he has written and presented extensively on legal technology issues. When not verbally castigating recalcitrant computers, he expends otherwise billable hours piloting his twin-engine Cessna Skymaster aircraft in Alaska, as a karate black belt and frequently exhibited fine art photographer, and working up to be the 2020-2021 Rotary District Governor for District 5010, comprising the State of Alaska and Canada’s Yukon Territory. 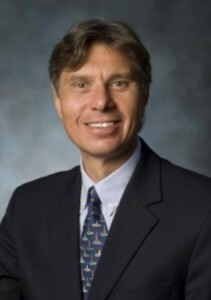 Michele C.S. Lange (mlange@workstorm.com) is the VP, Legal Technology for Workstorm. 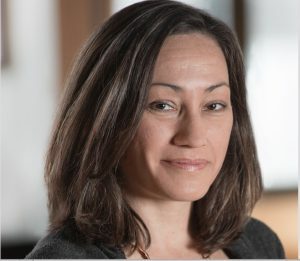 She has more than 15 years of experience in e-discovery, computer forensics, cybersecurity, privacy and technology’s role in law. Workstorm (www.workstorm.com) is an enterprise-grade workplace collaboration platform built for legal professionals. Thanks for the opportunity to look toward the future of the practice of law! 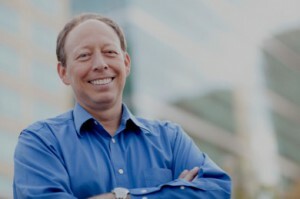 Stewart Levine is an attorney, mediator, management consultant, and coach. He creates resolution and agreement in the most challenging circumstances. 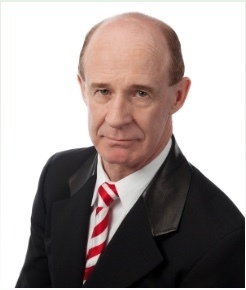 He has written and spoken extensively before legal professionals for over thirty-five years. He is the author of the best-seller Getting to Resolution: Turning Conflict into Collaboration. Bill Lipner is a consultant to law firms who wish to execute paperless or paper-lite strategies for more efficient, less costly, mobile-aware operations . Mr. Lipner also advises law firms on Quality-of-Service and Business Development strategies that dramatically improve client retention and profitability. Mr. Lipner also is editor of the Legal Administrator Daily, a daily newsletter delivering all the news about the business of law. 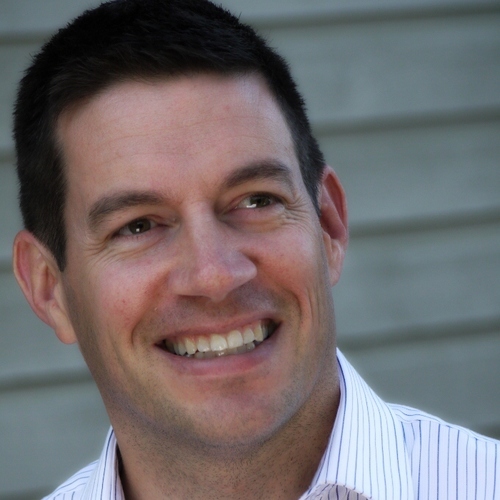 Brian Mauch is CEO of BMC Networks, a Vancouver-based outsourced IT provider that specializes in law firms. Brian obtained both law and commerce degrees from the University of British Columbia, and then combined his education with his passion for computers to form BMC Networks in 1997. Happy holidays, and all the best for 2019! After graduating from the University of Edinburgh (LL.B. ), I was awarded a Commonwealth Scholarship to pursue an LL.M. at McGill University. In the Québec milieu, I (mis)treated Montréalers to French spoken with a Celtic accent. People thought I was from northern Québec … way north (some actually figured I came from Abitibi Temiscamingue). I did a second LL.B. at the University of Ottawa, and then a Doctorate in Civil Law back at McGill. A teaching opportunity drew me to Edmonton where I was a Law Professor at the University of Alberta. During eight years in western Canada, I also articled and practised law in Edmonton (Parlee McLaws LLP, as it now is). After that, Law Professor and Director of Graduate Studies at the University of Ottawa, when Chief Justice Lamer asked me to be his (first) Executive Legal Officer. My spouse Giovanna was appointed to the Superior Court of Justice, sitting in Ottawa, on April 11, 2003. 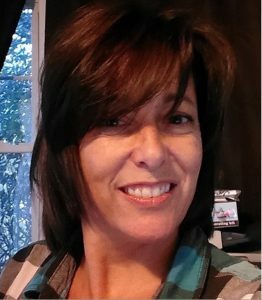 Sharon D. Nelson, Esq., is the President of Sensei Enterprises, Inc., a digital forensics, cybersecurity and information technology firm in Fairfax, Virginia. She is a frequent author (sixteen books published by the ABA and hundreds of articles) and speaker on legal technology, cybersecurity and electronic evidence topics. She was the President of the Virginia State Bar June 2013 – June 2014 and a past President of the Fairfax Law Foundation. Mr. Simek is the Vice President of Sensei Enterprises, Inc., an information technology, digital forensics and cybersecurity firm located in Fairfax, VA. Mr. Simek has a national reputation as a digital forensics technologist and has testified as an expert witness throughout the United States. He holds a degree in engineering from the United States Merchant Marine Academy and an MBA in finance from Saint Joseph’s University. Mr. Simek holds the prestigious CISSP (Certified Information Systems Security Professional) certification in addition to multiple other technical certifications. 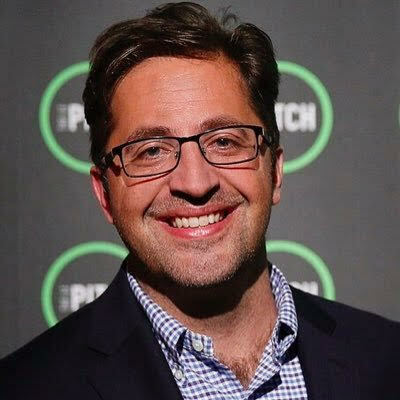 He is the co-chair of ABA TECHSHOW 2019 and a co-host of the Legal Talk Network podcast Digital Detectives. He is a frequent author (sixteen books published by the ABA and hundreds of articles) and speaker on legal technology, cybersecurity and electronic evidence topics. He may be reached at jsimek@senseient.com. 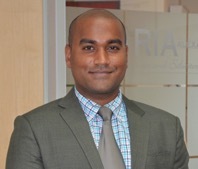 Ajit Roopnarine is a family law lawyer at Russell Alexander Collaborative Family Lawyers. He works in all areas of family law and often advocates in the Superior Court of Justice on family law matters, though he prefers collaborative practice. 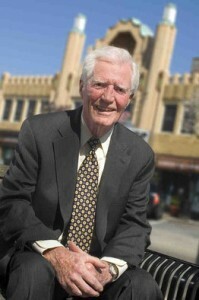 Tom Spraggs is the owner and operator of Spraggs & Co. Law Corporation, an injury litigation boutique. He holds a Bachelor of Laws, Master of Laws, and Masters of Business Administration. Tom is also a Qualified Arbitrator. His law firm has experienced significant growth over the last several years, and his lifelong passions for technology and learning have helped him develop unique approaches to collaborative work processes and practice management. The firm was acknowledged by the Canadian Bar Association with the 2016 Innovative Workplace Award. 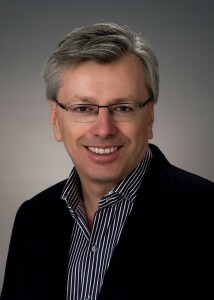 Tom Spraggs joined the British Columbia Law Institute board of directors in 2012 by appointment of the Attorney General. He has served on the Strategic Planning Committee, the Audit, Finance and Risk Committee (as Chair), and is currently serving as Chair of the BCLI. Tom is active in the community, previously serving a six-year term as a director of Douglas College. Currently, Tom is a proud member of the Canadian Bar Association and co-chairs the Civil Litigation Tri-Cities/New Westminster section. 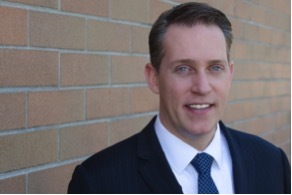 As a member of the Law Societies of British Columbia, Yukon and Alberta, Tom’s work has been primarily in civil litigation, and he also has a strong interest in administrative law, legal technology and governance. He has been a frequent participant in the CLEBC Solo and Small Firm Conference as well as co-charing the 2018 Professional Wellness for Lawyers and Law Firms. 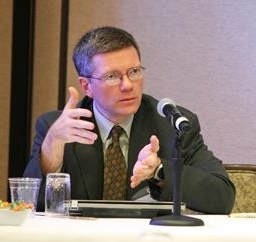 Tom is a regular contributor to the TLABC publication “The Verdict” writing on legal technology. 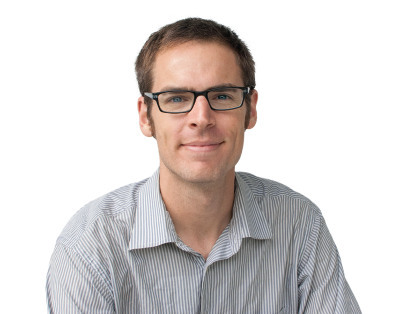 Tom is Co-founder of Qase.ca, a legal technology start-up based out of Vancouver. Music, Lyrics and recorded by: Billy Joel. In December 2014, Edward Greenspan, one of Canada’s most famous criminal defence lawyers, died at age 70 from heart failure, ironically while on holiday. He is not alone. Many lawyers will be diagnosed this year with heart disease, heart attacks, high blood pressure, atrial fibrillation, pulmonary embolisms and strokes and some will die. 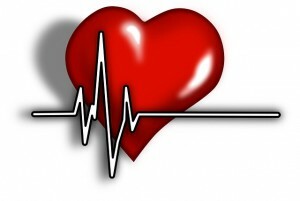 Globally, cardiovascular disease is the leading cause of death and claims more lives than all forms of cancer, combined. Lawyers are particularly susceptible to stress-related illnesses, including heart disease, “because of the unique interplay of the legal profession and lawyer personality” (per the ABA Journal). It is no secret that the legal profession has to deal with stress, depression and a degree of hostility. This, unfortunately, is a particularly lethal combination. One of the first things we can do as a profession is to curtail uncivil behavior and over-aggressiveness. While we live in an adversarial system, neither our clients, the legal system, or the public are well-served by this approach and it causes undue stress and toil for all concerned. Another thing that we can do is curtail long work hours. The cure for overwork is not time management, or less holidays or not taking vacations or even weekends off; it is improving our work conditions such that our minds and our bodies have an adequate time to rest and rebound from the stresses of the day. Take time to exercise, maintain good nutrition, good weight control and not smoking are four things that all of us can do, right now. An added incidental benefit will be a lower exposure to substance abuse triggers. In Stress Management for Lawyers – How to Increase Personal and Professional Satisfaction in the Law“, 3rd ed, by Amriam Elwork, Ph. D, the author puts forth many concrete suggestions to reduce stress. One suggestion is by shifting our point of view of a stressful situation we can control our emotional response and look to generate solutions rather than generating anxiety and depression. A very interesting aspect of Dr. Elwork’s book is his suggestion to be true to your values. He lists seven areas of people’s lives where values are important: finance, work, character, growth, relationships, society and religious faith. He then asks if you are living true to your values in these seven areas. 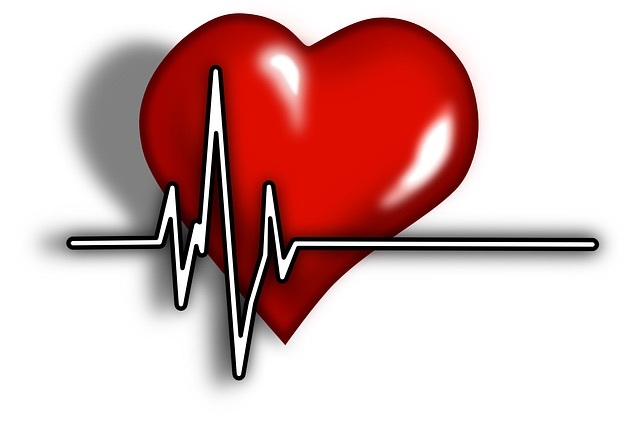 Atrial Fibrillation (known as AFib) (according to WebMD.com) is where the smaller vessels of your heart are being activated in a chaotic electric pattern in excess of 400 beats per minute, as compared to 60-100 coordinated beats in a normal heart. Awareness that the heart is beating. Chest pain, pressure, or discomfort. AFib raises your risk for stroke, since the chaotic rhythm may case blood clots to form inside the heart and then travel to your brain. Paroxysmal nocturnal dyspnea – episodes of severe sudden breathlessness at night. If left untreated this can lead to coma and then death – usually due to hypoxia (oxygen deprivation). One cannot overemphasize the importance of seeking prompt medical attention in the presence of symptoms that suggest a heart attack. (originally published in BarTalk, a publication of the BC Branch of the Canadian Bar Association). Lyrics and music by: Damon Albarn, Teren Devlon Jones, Jamie Hewlett, recorded by The Gorillaz. Law as a Lifestyle Company: Traditional commitments to the billable hour meant that the practice of law rarely worked in half measures. As a lawyer in private practice, your options tended to be 0% employment or 130% employment. With the emergence of creatively structured alternative fee agreements (AFAs), we will see more lawyers opt for less than full-time practices. This will include increasing numbers of practitioners pursuing phased retirement, parents with young children, and those with employment or interests outside of the practice of law. While AFAs and new technologies will give law firms the option of becoming lifestyle businesses, regulatory bodies will struggle to keep-up with these changing practices. Demographic Shifts: Baby boomer lawyers are starting to read obituaries of law school colleagues. There is no better motivation to reevaluate priorities than the passing of peers. The valuation and sale of practices will decline, to be replaced by younger lawyers who are simply willing to take on the files. For every client that is an asset, there is another that is a liability. We will see more succession planning that addresses continuity rather than cash. Renewed Commitment to Justice: Following Donald Trump’s electoral victory, the Lawyers of the Left secret Facebook group has accumulated over 188k members. Many of the posts to this group have featured lawyers from all practice areas renewing their commitments to justice. In particular, many mid-career lawyers have expressed a rekindled appreciation for why they went to law school in the first place. Thanks Dave and best of luck in the new year! Aging of the legal workforce has finally hit the “proverbial brink wall.” According to a recent Oregon Attorney Assistance Program (OAAP) Retirement Survey, of the 6000 members over 50 who filled out the survey, bar members 60 – 69 represented over half (53%) of survey participants. To add insult to injury, 50% of these respondents report that they are planning on retiring from legal practice in the next five years. The brain-drain is clearly underway. In order to continue to attract talent, law firms will have to demonstrate concern for senior partners who need support in moving away from full-time practice. Young lawyers will be watching this very quickly. The worst thing that a firm can do is to do nothing about it. In order to continue to attract talent, law firms will have to adopt more flexible career paths for all lawyers that include formal flex-time guarantees for both aging lawyer as well as mid-career lawyers, who may not want to “Die at their Desks”. My first inclination in looking ahead to the future of law in 2017 is to look into what has happened in other industries over the past 5 to 10 years and pick from there the changes that the legal industry might be ready to face. But as even that might be too fanciful a thought, I’ll instead over some broad predictions of what’s ahead without going too deeply into whether or which might hit the business of law. Cloud backlash. No I’m not talking about arguments against moving services to the cloud in the first place, but backlash and exhaustion from those who have been there for some time. Two triggers here: sheer volume and unwanted sharing. Honestly, I don’t seem to go very long without having or choosing to sign-up to a new cloud-based service to carry on my business and personal life. But what really begins to concern me is losing visibility and control of cross-service data sharing (i.m looking at you, G-Suite!). Surely, I’m not alone in this. But we press further into this world even as the news mounts of privacy breaches at one after another provider, and even as the daisy chain of our digital identities exposes our complete selves to the weakness of security practices at any link. I can’t tell you what form the backlash will take or what options exist, just that anxieties will be high and that 2017 will be the year we start to figure out what to do. Giants begin to fall. Jack Welch of GE fame was found of saying he only wanted the company to be in businesses where they could be the number 1 or number 2 player. 2017 is the year a lot of number 2 players lose their spots or at the very least find that being number 2 ain’t all that special. In all domains, but especially in those reliant on the burgeoning AI field, innovators will lower or remove barriers and undermine pricing strategies of market incumbents. Colin Lachance, as CEO of Maritime Law Book, is currently leading the launch of Canada’s newest case law research platform (Compass) through which he hopes to contribute to the realization of his third prediction. 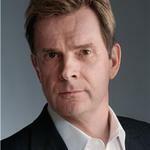 A business advisor and lawyer, Colin served as CEO of the Canadian Legal Information Institute (CanLII) from 2011 to 2015 and in that capacity was profiled by the ABA Journal as a “Legal Rebel” (2014), by Canadian Lawyer Magazine as among the “Top 25 Most Influential” (2014), by the Canadian Bar Association as an innovator who is “Doing Law Differently”, and by Fastcase as a member of the 2013 Fastcase 50 class of legal innovators and visionaries. Prior roles included senior positions in advocacy, marketing and lobbying with a national telecommunications company. An average and unimpressive student in all his schooling, he added a technology-focused LL.M. in 2013 to the degrees in business and law obtained in the bloom of youth. A frequent speaker and author on legal information, technology and market development topics, his recent professional commitments included consulting with firms, corporate legal departments, access to justice organizations, courts, law associations and others through PGYA Consulting. 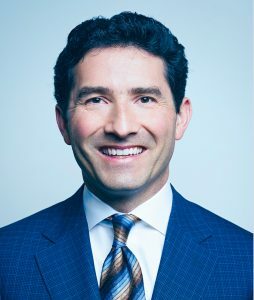 In 2016 he served as an advisor to numerous legal tech startups, to a government-funded research study into access to justice mobile apps, and was an industry advisor to the legalX cluster at Toronto’s MaRS Development District during its first year of operation. He practices communications law part-time in association with Momentum Business Law in Ottawa, Canada, but otherwise is of little use as a lawyer. Seeking reduced competition, more favorable cost of living and improved lifestyle components, more solo and small firm lawyers will open practices in rural areas. The use of modern technology, including cloud software, will allow them to remain competitive as against law firms located in large, urban centers. And, these lawyers, freed from the hive mind mentality of big city lawyering, will be freed to try innovative approaches to marketing, client service and billing. I’m more of a here-and-now than a futurist. There are folks who are much, much smarter prognosticators, so I’ll leave it to them. However, here’s what I would like to see happen in 2017. Access to Justice – Good people are doing good work hosting hackathons, creating apps, and offering free and low cost criminal and civil legal help to those for whom justice is less than blind. Thing is, many of the folks who could use these services don’t even know they exist. I’d like to see justice warriors go to underserved areas and spread the word to folks who don’t know what they don’t know and spread the word. Like churches, synagogues, mosques, and other places of worship. Community centers, movie theaters, and street corners. Perhaps even an old retrofitted van or bus providing mobile justice. If you’re interested in starting a city by city movement, get in touch with me and let’s do this. Diversity – Again, lots of good work happening here but I’d like to see us take the long view. Start in high school. Lawyers beget lawyers and many of the rest can’t even visualize themselves in court or firms. College is too late. Many won’t get there without mentorship and the confidence that they belong. I’d like to see every Am Law 200 firm, corporate department, and federal and state court, offer a hands-on program for high schoolers including scholarships, mentorship, and internships. Yep, scholarships. Cold hard cash. Gotta walk the talk. Marketing – There needs to be less content and more connecting. And I’m a content guy. Everyone’s doing the same damn thing. It’s a no-win proposition. Webinars, E-Books, Blogging, Data Analysis? Everyone’s doing it, and someone’s doing it better than you. What would I like to see in 2017? Keep writing but do less of it and go deep. Don’t let your insatiable desire for bloody traffic water down your writing and distort your message and add to the noise. Use content to facilitate connections – like the invite to this collaborative post. Look outward for connections across clients, products and functions. Use content to facilitate the effort. Lots to unpack here. For more on this check out The Content Trap: A Strategist’s Guide to Digital Change by Bharat Anand. End of rant. Well, almost. Video seems to be the hot thing so of course everyone is jumping on that bandwagon. Go for it but make sure it’s useful for your intended audience and not salesy or narcissistic, the latter of which seems to be proliferating. Technology – So many good companies and applications in the legal space, so little time to test them all to determine which is best for you and your firm. I’d like to see some overdue consolidation in the industry. ‘nuff said. Tim Baran is all about community. He’s engaged in improving the management and delivery of legal services and access to justice. He works on content, connections, and relationships with Rocket Matter. Tim is the author of Evernote for Lawyers and was named to the 2016 Fastcase 50 honoring the law’s techies, visionaries, and leaders. Technology is changing the legal landscape and providing lawyers with more options and better tools than ever before. Improvements and advances in software are making it possible for lawyers to be more mobile, collaborative, and responsive, while focusing on the work they truly enjoy. Lawyers will have more options than ever in 2017 to help streamline and improve their day-to-day work processes. For example, lawyers will have more options than ever when it comes to collaborating online. Litigators, in particular will benefits from software designed to facilitate collaboration between litigation teams. Using litigation case management software, teams of lawyers can collaborate and share notes about case-related evidence and documents in a secure web-based platform. Litigation collaboration by simplified and streamlined, thus reducing redundancies and inefficiencies in the litigation preparation process. And, advances in AI that reduce the repetitive tasks of day-to-day practice will increase exponentially in 2017. Using machine learning and advanced analytics, AI software is being designed to impact many areas of practice by reducing the amount of rote work often performed by lawyers. For example, there are new software tools on the market that take advantage of AI to streamline timekeeping, contract review, due diligence analysis, and legal analytics for litigation. In 2017, you can expect to see many other new AI software products that will assist lawyers with any number of different functions. Of course, it’s important to emphasize that AI software will not replace lawyers; instead, it will remove some of the drudgery of practicing law from lawyers’ lives, allowing them to focus on higher level analytical thinking and on the needs of their clients. 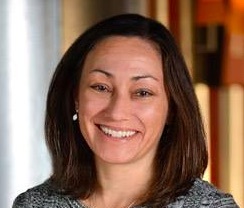 Nicole Black is a Rochester, New York attorney and the Legal Technology Evangelist at MyCase.com, legal practice management software. 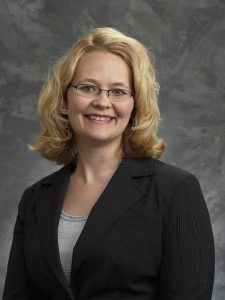 She is the nationally-recognized author of “Cloud Computing for Lawyers” (2012) and co-authors “Social Media for Lawyers: The Next Frontier” (2010), both published by the American Bar Association. She also co-authors “Criminal Law in New York,” a Thomson West treatise. She writes a regular columns for The Daily Record, Above the Law, and Legal IT Pros, and has authored hundreds of articles for other publications, and regularly speaks at conferences regarding the intersection of law, mobile computing, and Internet-based technology. She can be contacted at niki.black@mycase.com. I admit, this might be wishful thinking. But I have a feeling that 2017 will turn out to be the year we reach a tipping point in the campaign to improve access to justice. I’m now encountering A2J in many different contexts outside the legal profession — in the mainstream press, at technology conferences, and among governments, think tanks, policymakers and corporations. It looks to me like access to justice, about which the legal profession has said a great deal but accomplished relatively little over the past few decades, has finally breached the consciousness of society at large. This may prove to be a double-edged sword for lawyers. On the positive side, bringing many more resources and many different and diverse perspectives to the A2J problem can only accelerate us towards a solution. On the negative side, as Lawyerist’s Sam Glover pointed out a few years back, we can close the access-to-justice gap, but lawyers aren’t going to like it. It is very clear to people outside the legal profession that lawyers are demonstrably unable or unwilling to make adjustments to their business model that would make their services more affordable to more people. It’s equally clear to these observers that the legal profession intends to indefinitely maintain barriers against “non-lawyer” service providers who could help enable more access to legal services. Whatever merits these positions might have when viewed from within the profession, I can assure you they have almost no traction outside it. Access to justice is about to become a mainstream social issue. When it does, it will leave the orbit of the legal profession, and along with it will go the profession’s ability to dictate or even influence the solutions that are eventually found. Those solutions will have consequences for lawyers, both intended and unintended, and not all of them will be good. But I suspect our window of opportunity to do much about that, a window that has been open for many years, is finally going to close. Jordan Furlong is an internationally recognized consultant and legal market analyst who forecasts the impact of changing market conditions on lawyers and law firms. 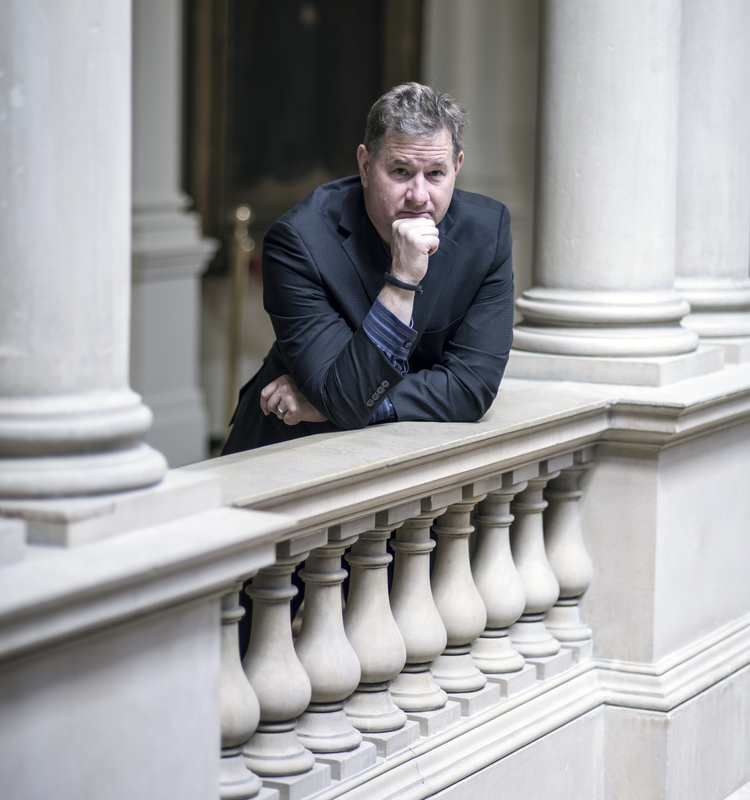 He has addressed audiences throughout Canada, the U.S., Great Britain, Europe and Australia over the past several years, including law firms, law societies, state bars, courts, law schools, and numerous legal associations. Jordan is a Fellow of the College of Law Practice Management and a member of the Advisory Board of the American Bar Association’s Center for Innovation. He writes regularly about the changing legal market at his website, law21.ca. Here you go David. Happy holidays! 2017 will see more plaintiff trial attorneys opening a mass torts practice area. There are already 250 federal mass tort dockets with 135,000 actions, primarily product liability cases involving defective medical devices and dangerous drugs. In fact, 36% of the entire federal caseload is composed of mass tort actions. Some of the better-known cases involve defective hip implants, talcum powder, blood clot filters, pelvic mesh implants, and drugs like Lipitor, Xarelto and Abilify. Mass torts, where multiple actions are consolidated before one judge, have surpassed class actions as the best approach for attorneys to hold giant corporations responsible. Listen to my webinar at https://goo.gl/R0SUOk. On social media, Facebook will be the single best place for attorneys to market themselves. Facebook has far more users, engagement and rapid growth than Twitter or LinkedIn. Facebook is social media for consumer clients, considering that 66% of adults log on to the social network every day and 80% use the Facebook smartphone app. Research show that a majority of consumers would hire an attorney who is active on Facebook. Check out my article at https://goo.gl/O9GZmu. Millennials will be the target market for many attorneys. There are 75 million of them — about 1/4 of the US population. With a spending power projected to reach $1.4 trillion in just four years they are buying cars, starting families and launching companies. So forget old-school marketing like print advertising, radio, internet pop-up ads and print mail campaigns. Millennials are on their smartphones, checking out attorneys blogs, videos and social media. Access to justice will increase thanks to expanded use of legal expert systems. In BC, we already have 3 great examples. The Legal Services Society’s MyLawBC platform supports users in the area of family law, foreclosures, and wills & estates. The Civil Resolution Tribunal’s Solution Explorer platform is supporting users with condominium disputes, with small claims coming soon. BC’s Residential Tenancy Branch recently launched a new expert system for landlord-tenant disputes, also using the Solution Explorer platform. As a by-product of this expanded use of legal expert systems, we will see the emergence of new ‘legal knowledge engineers’ who are trained to put expert legal reasoning and guidance in the hands of non-expert users (i.e. the public). If you’ve read any of Richard Susskind’s works lately, you’ll be familiar with his description of the new role of the legal knowledge engineer. Several knowledge engineers have already been trained to create and maintain Solution Explorer content. And Thompson Rivers University Law’s new course led by Prof. Katie Sykes will bring this training directly to the law school environment. Expert systems are also being used for triaging legal aid users in places like New Mexico. The recently announced Microsoft Statewide Legal Access Portal Project, which includes at least $1 million in technical development from Microsoft to create a legal access portal will also include a legal expert system component. This initiative could add considerable momentum to the development and deployment of expert systems in the legal domain. Colin Rule covered this better than anyone can in the 2017 Predictions – Part 1 post. But I’m going to +1 him on it anyway. The digital-first model of the Civil Resolution Tribunal represents a big leap forward in this area. BC’s first public justice ODR service created by the Property Assessment Appeal Board in 2011 helped to pave the way for the CRT, thanks in a large part to the work of Colin Rule’s company Modria. Now that England and Wales has crystallized its intention to create online courts, it will make it harder for courts in other jurisdictions to argue that ODR is somehow unsuitable for public justice processes. I agree with Colin that 2017 will see ODR continue to move forward in courts, tribunals and other key public justice services. Darin Thompson is a lawyer with the BC Ministry of Justice. He has helped to initiate multiple projects using online dispute resolution (ODR) and is a former member of the Canadian delegation to the United Nations Working Group on ODR. He is also part of a team that developed a knowledge engineering process for legal expert systems. Darin is also an adjunct professor of Legal Information Technology at Osgoode Hall Law School and the University of Victoria Faculty of Law. He holds a BA (with distinction) and a JD degree from the University of Victoria and an LLM (with distinction) in Innovation, Technology & Law from the University of Edinburgh. More predictions are to come in Part 3! Stay tuned! ♫ Hey, how you like it? Lyrics and music by: Bryan Michael Paul Cox, Johnta M. Austin, Kendrick Ashley Jevon Dean, Mary J. Blige, recorded by Mary J. Blige. More predictions will follow in Part 2! Wow, Buzz nailed it last year! I was overly optimistic about timing, but I still feel my 2016 prediction is on track. The time has come for ODR in the Courts in North America. 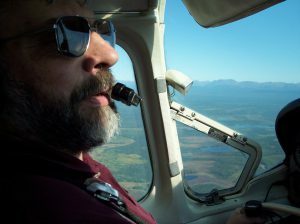 You’ll see major statewide and province-wide pilots of ODR technology within legal service bureaus (following the lead of MyLawBC) as well as in individual courts, especially family, small claims, and traffic. Tools digitizing the courts from within like Matterhorn (http://getmatterhorn.com/) will also continue to gain traction, with companies like Tyler and Xerox paying close attention. Conferences for judges and court administrators will have technologists delivering the keynotes, focusing specifically on mobile and the preferences of the younger generation. There will also be a big jump in attention paid to ODR standards and certification efforts. As it becomes clearer that ODR is for real, many articles will be written identifying the challenges behind ensuring quality and preventing kangaroo courts from cropping up. New initiatives will be launched to expand dispute resolution ethics to cover systems designers and ODR platforms, in addition to updating ethics for individual mediators and arbitrators to specifically address the ethical conundrums that technology can engender. Also, we’ll see more critical/skeptical coverage of ODR emerge in mainstream press (especially from legal journalists) as the move toward ODR in the courts starts to build up momentum. Colin Rule is Co-Founder and COO of Modria.com, an ODR provider based in Silicon Valley. From 2003 to 2011 he was Director of Online Dispute Resolution for eBay and PayPal. He has worked in the dispute resolution field for more than a decade as a mediator, trainer, and consultant. He is currently Co-Chair of the Advisory Board of the National Center for Technology and Dispute Resolution at UMass-Amherst and a Non-Resident Fellow at the Gould Center for Conflict Resolution at Stanford Law School. 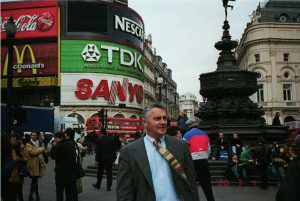 Colin has presented and trained throughout Europe and North America for organizations including the Federal Mediation and Conciliation Service, the Department of State, the International Chamber of Commerce, and the CPR Institute for Dispute Resolution. He has also lectured and taught at UMass-Amherst, Stanford, MIT, Pepperdine University, Creighton University, Southern Methodist University, the University of Ottawa, and Brandeis University. 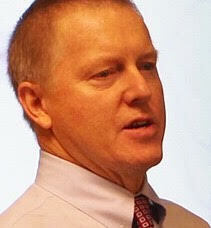 Colin is the author of Online Dispute Resolution for Business, published by Jossey-Bass in September 2002. He has contributed more than 50 articles to prestigious ADR publications such as Consensus, The Fourth R, ACResolution Magazine, and Peace Review. He serves on the boards of the Consensus Building Institute and the PeaceTech Lab at the United States Institute of Peace. He holds a Master’s degree from Harvard University’s Kennedy School of Government in conflict resolution and technology, a graduate certificate in dispute resolution from UMass-Boston, a B.A. from Haverford College, and he served as a Peace Corps volunteer in Eritrea from 1995-1997. In 2017, the new administration will enact harsh new regulations, risking a trade war with China, and making international trade an especially hot practice. Unless, you know, they don’t. And it isn’t. We’ll start building a wall with Mexico, generating high demand for both construction and immigration lawyers. Unless we don’t. And they aren’t. The US Supreme Court nominee will be provocative and polarizing, increasing demand for Supreme Court specialists. Unless s/he isn’t. And it doesn’t. A major Twitter faux pas will create an international incident in Latin America, expanding Florida-based Latin American practices. Unless that never happens. Hell, I don’t know. I got nuthin’. Ross Fishman, JD, is CEO of Fishman Marketing, specializing in strategy, branding, and websites for law firms. A former litigator, marketing director, and marketing partner, he has helped 200 firms stand out from the competition and generate revenue (see fishmanmarketing.com/results for 100 case studies). A popular keynote speaker and Ethics CLE presenter, he has given 250 presentations worldwide. Ross’s popular “The Ultimate Law Firm Associate’s Marketing Checklist,” called a “marketing bible” by Of Counsel magazine, is available on Amazon at https://goo.gl/HsrmbE. 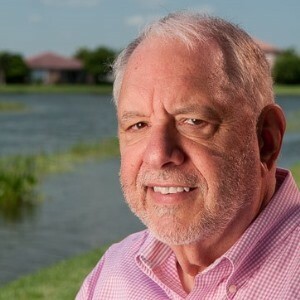 A Fellow of the College of Law Practice Management, he was the first inductee into the Legal Marketing Association’s “Hall of Fame.” Contact him at ross@fishmanmarketing.com or +1.847.432.3546. Follow him on LinkedIn (linkedin.com/in/rossfishman) and Twitter @rossfishman), and subscribe to Fishmanmarketing.com/BLOG. Immigration and cybersecurity will have the most dramatic growth. The push for Alternate Energy will cool down, at least in the U.S.
Law firms will hire more professional business developers, i.e. strategy in the accounting profession for decades. – and the services they provide will continue to grow. investment will be approved in Canada but not yet in the U.S.
in even mid-size firms will grow. 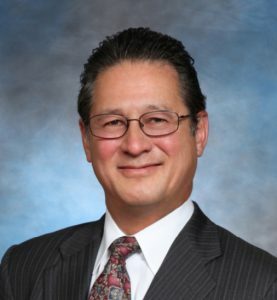 He has been a Fellow in the College of Law Practice Management, has served on the Board of the Legal Marketing Association and is a member of the LMA’s Hall of fame. He has written or co-authored seven books, two of which were published by the American Bar Association, as well as articles that have appeared in many legal publications. He has been interviewed by the ABA Journal, The Wall Street Journal, The Philadelphia Inquirer and The New York Times and has conducted webinars and national TV seminars on law firm management and business development. Bob has addressed conferences sponsored by The American Lawyer, the ABA, the Canadian Bar Association, the Law Society of British Columbia, the Association of Legal Administrators, the Legal Marketing Association and numerous state bar associations. He has also been a guest speaker at several law schools. He graduated with honors from the University of Pennsylvania. After serving as an officer in the Navy, he did post-graduate work at the Wharton School towards an MBA. 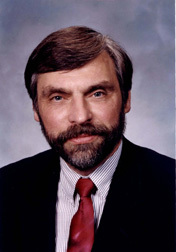 In the first phase of his career, Bob was President of a national cosmetics company and was also Vice-Chairman of that industry’s principal trade association. In that capacity, along with Ralph Nader, he testified before a Senate sub-committee. 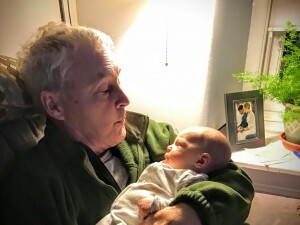 In addition to being active in charitable and professional organizations, Bob and his wife have raised nine children and live in suburban Philadelphia. Our first prediction is that no one will know what cybersecurity will look like until the Trump presidency is well underway. Mr. Trump is an unknown. If what he says is true, he does not value privacy in the context of what he sees as the fight against ISIS and others – and this does not bode well for the Constitution. Mind you, we were not happy with some of the privacy invasions which took place under Mr. Obama’s administration. Ransomware will get ever MORE crafty – and ransoms, which have gone up sharply in 2016, are likely to go even higher. 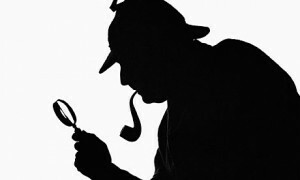 It is not unusual at this point to see bitcoin ransoms in the $2500 range where law firms are compromised. The media has begun to report that the luster is off Apple and we believe that trend will continue. The truly innovative days of Steve Jobs appear to be gone. We have seen many clients switch from iPhones to Androids and embrace the Surface Pro. An increasing focus on tech CLEs seems likely. Florida, in 2016, mandated tech CLEs and we, in Virginia, have seen VSB TECHSHOW (capped at 500 attendees) sell out twice – and we expect to see it fully sold out again in April of 2017 – there is a great hunger among lawyers for good tech CLEs by speakers they can understand. We expect more major IoT breaches of personally identifiable information. We are at the point where it may cause actual physical harm or a huge financial impact. Continued implementation of encryption everywhere is very likely. Encryption by default is now standard in so many places. We predict, sadly, that a lot of solo and small practitioners will find that they are not selling what clients want to buy – primarily lower prices when technology is effectively leveraged. We also expect to see a greater usage of client portals – another way of protecting confidential data – and a feature that clients absolutely love. Block chain technology will begin to make inroads in the legal process as a method of authentication. Lawyers will increasingly understand that they must “fish where the fish are” – in social media. We have seen a great interest in CLEs which teach attorneys how to effectively manage and leverage social media. Sharon D. Nelson, Esq., is the President of Sensei Enterprises, Inc., a digital forensics, information security and information technology firm in Fairfax, Virginia. 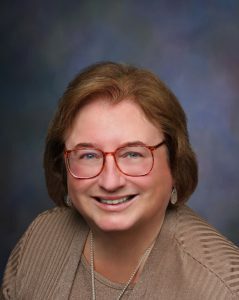 She is a frequent author (fifteen books published by the ABA and hundreds of articles) and speaker on legal technology, information security and electronic evidence topics. She was the President of the Virginia State Bar June 2013 – June 2014 and a past President of the Fairfax Law Foundation. Mr. Simek is the Vice President of Sensei Enterprises, Inc., an information technology, digital forensics and information security firm located in Fairfax, VA. Mr. Simek has a national reputation as a digital forensics technologist and has testified as an expert witness throughout the United States. He holds a degree in engineering from the United States Merchant Marine Academy and an MBA in finance from Saint Joseph’s University. Mr. Simek holds the prestigious Certified Information Systems Security Professional (CISSP) and EnCase Certified Examiner (EnCE) certifications in addition to multiple other technical certifications. He currently provides information technology support to hundreds of Washington, DC area law firms, legal entities and corporations. 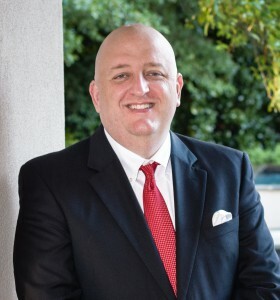 He is a co-host of the Legal Talk Network podcast Digital Detectives. He is a frequent author (fifteen books published by the ABA and hundreds of articles) and speaker on legal technology, information security and electronic evidence topics. Thank you to all the authors! We will gaze further into the future in Part 2! Music and lyrics by: Tommy Shaw, recorded by Styx. 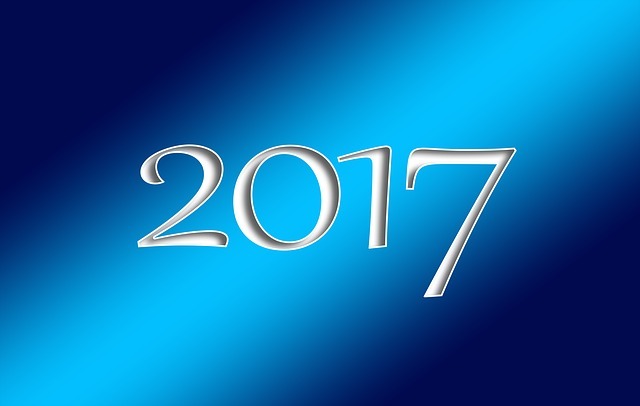 At this time of the year, I call for our gentle readers to submit their predictions for 2017. 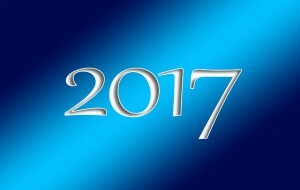 I would love to hear from you and read your thoughts on what the year will hold for the legal community. Topics can range from: access to justice, security, legal software, justice and online dispute resolution, big law, solo and small firm issues, alternative business structures, changes in legal regulations, business development, legal marketing, change management, firm governance, moving to paperless or moving to Mac (or back to Windows), quality of life, tips and trends …all these topics and more are on the table. Results will be posted in a series of articles near the end of December. I would love it if you put your thinking cap on and send me your prediction. Let’s see what we can do together as there are so many things we need to know! Lyrics and music by Otis Redding, recorded by Aretha Franklin. A lawyer presupposes that they are dealing with a fully competent individual who has the full mental and physical capabilities to comprehend her or her legal affairs, who can appreciate the reasonably foreseeable consequences of their decision or lack of a decision, who can fully comprehend what is communicated to them and who can provide instructions to the lawyer sufficient to allow the lawyer to act in their best interests. Where these assumptions are placed in jeopardy, the lawyer has to assess if he or she is in a position where they are incapable of getting instructions from the client or entering into binding legal relationships. There is much that can be done for someone under a physical disability. Your office can be designed to be accessible with an elevator, disabled parking, accessible washrooms and have accessible private meeting spaces where the client can use any aids that may assist in their reading, listening or comprehending your instructions with dignity. For those clients who do not identify within the binary male-or-female system, then consider increasing gender-inclusive terminology and gender-neutral facilities. Fill-in forms can use terminology such as “Male”, “Female” and “Other”. Clients can be given the space to choose their own pronouns. Steps such as these would go a long way towards creating an inclusive environment to a community struggling for acceptance and provide them with the assurance they need to seek legal advice. When it comes to a possible mental capacity, the lawyer must determine if the client has sufficient capacity to properly instruct you as their lawyer. Capacity can vary with any number of factors from medication, to physical conditions that affect mental acuity, cognition issues relative to the time of day and the like. You may need to enlist the support of family members and/or the Public Guardian and Trustee to ensure that the interests of the client are protected (and that the client is not subject to undue influence). Comprehension of our legal system as compared to other legal systems that the client may have experienced must be gauged on a case by case basis to ensure that your client fully understands the consequences of taking a decision or failing to do so under our legal system to ensure that they are not operating from a mistaken belief or misapprehension of how the law is applied in any particular situation. Legal disabilities can be addressed by seeking litigation guardians, committees and the such to serve as people legally designated to make decisions on behalf of your client, always guarding against the possibility that this legal representative may not be always acting in good faith or with the best interests of the client in mind. If your client is facing an anticipated quick decline in physical or mental capacity, then if you accept the retainer, you would wish to ensure that you could compete the retainer such that your client’s wishes are fully carried out prior to the loss of capacity. If you have a client with a limited ability to comprehend or focus, then to as great a degree as possible you would want to simplify the issues while still being able to receive instructions that allow you to protect the interests of the client. Furthermore, you may be dealing with a client who is fearful that their costs would escalate due to the increased time they require to process information and make decisions. Ask yourself: When it comes to advising the client who may have special needs and/or capabilities, as lawyers, to the greatest degree possible, are we able to give them what they are asking for, namely a little bit of inclusion and respect? -Hat tip to my daughter Lauren, medical student, for collaborating with me on this column. Oscar or Felix? What does Your desk say about you? Lyrics and music by Sammy Cahn and Neal Hefti. Look at your desk and office. Whose office does yours resemble? Oscar Madison’s or Felix Unger’s? Is your desk neat and tidy or more a hodgepodge of piles of paper, old coffee cups and files stacked everywhere with food wrappers interspersed? Of course The Odd Couple accented the extreme personal differences between Oscar, who is perhaps the world’s most famous slob and Felix, the extreme clean freak, as a way to create an underlying comedic friction as the backdrop for the show. According to the National Association of Professional Organizations, paper clutter is the No. 1 problem for most businesses. Studies show the average person wastes 4.3 hours per week searching for papers, which adds stress and frustration to the workplace while reducing concentration and creative thinking. Renae Nicole states that a clean workspace reflects on the overall morale of the organization. A clean and tidy desk reflects on how someone views their job. She also reinforces that a chaotic workspace can hinder efficiency. So look at your desk and office. Are you more like Felix or Oscar? Fortunately it isn’t too late – salvation is at hand – all of us can aspire to better habits – starting today! (if you want to take a short online test to see if you are more Felix or Oscar, click here).